Shapaul Omar Al (38) of Gibraltar Avenue, Halifax, given 6 points on his license, £660 fine, £66 victim surcharge, £85 costs for failing to give information relating to the identification of a driver. Levi Parkin (26) of Carr Field Drive, Luddenden, given 4 points on his license, £223 fine, £30 victim surcharge, £85 costs for speeding. Stephen Jon Prag (38) of Banksfield Crescent, Mytholmroyd, given 6 points on his license, £660 fine, £66 victim surcharge, £85 costs for failing to give information relating to the identification of a driver. Sean Reynolds (21) of Reins Road, Brighouse, given 3 points on his license, £220 fine, £30 victim surcharge, £85 costs for speeding. Dalibor Rybar (43) of St Mary’s Street, Halifax, given 8 points on his license, £660 fine, £66 victim surcharge, £85 costs for driving without insurance. Hancz Sandor (43) of Derdale Street, Todmorden, given 3 points on his license, £220 fine, £30 victim surcharge, £85 costs for speeding. Michael Jarvie Saunders (46) of Rugby Terrace, Ovenden, given 8 points on his license, £660 fine, £66 victim surcharge, £85 costs for driving without insurance. Kelly Sirmond (40) of Brow Bottom Lane, Mixenden, given 3 points on her license, £220 fine, £30 victim surcharge, £85 costs for speeding. Michael Strahand (55) of Hurst Road, Hebden Bridge, given 3 points on his license, £220 fine, £30 victim surcharge, £85 costs for speeding. Maurice Leslie Willan (51) of Knowle Top Road, Lightcliffe, given 3 points on his license, £200 fine, £30 victim surcharge, £85 costs for speeding. Kieron Jack Griffiths (25) of Highroad Well Lane, Halifax, 12 month conditional discharge, £20 victim surcharge, £85 costs, for assault. Mark Prescott (29) of Carr Green Drive, Rastrick, disqualified from driving for 12 months, £120 fine, £30 victim surcharge, £85 costs for drink driving. Sakeb Nazir (33) of Gibraltar Avenue, Halifax, £80 fine, £50 compensation, £30 victim surcharge, £85 costs for causing harassment, alarm or distress by using threatening, abusive or insulting words or behaviour. Michael Stephen Chapman (63) of Myrtle Bank, Halifax, disqualified from driving for six months, £333 fine, £33 victim surcharge, £85 costs for drink driving. Billy North (32) of Oldham Road, Halifax, community order, disqualified from driving for 24 months, £85 victim surcharge, £85 costs for drink driving, community order, disqualified from driving for 24 months for driving while disqualified and driving without insurance. 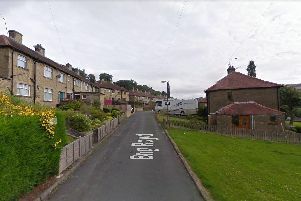 Nicholas James Johannesson (29) Rosemary Close, Rastrick, community order, £85 victim surcharge for stealing two joints of beef to the value of £48.67 from Sainsbury’s in Halifax.